The more important qualities of an effective proposal are (1) strong content that is (2) presented efficiently. In these areas, I’ve not seen that much improvement over the last 20 years. His second post, entitled “Proposals: Two Chances to Shine” he discusses two strategies that can improve your proposal writing. The two key issues that he cites are “Client Focus” and “Skimmability”. 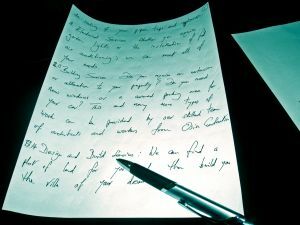 If you’re looking for some help with your technical writing skills, this is a good article to read. Lastly, in “Proposals: How David Slays Goliath” Mel presents a case study in proposal writing. The case study is a proposal he assisted with at a company that was “at a terrible disadvantage with the client determining that our qualifications didn’t even merit receiving the RFP!” Read the article to learn how you can use a proposal to leverage your company when you’re the underdog. No Responses to "E-Quip Blog on Proposal Writing"